In the battle for mobile music downloads, Nokia scored a bit of a hit during the summer with its appallingly-named “Comes with Music” download subscription service. 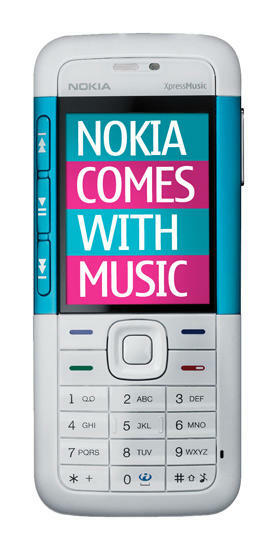 Designed to take on Apple’s iTunes, Nokia’s music store equivalent seemed to have the edge, in that its Comes with Music phones can download tunes directly over the air (something the iPhone can’t do), and you don’t pay for the tunes individually. Instead, you play a flat rate subscription that gives you unlimited downloads for a year, after which you get to keep the tracks you’ve downloaded, but not download any new tracks unless you take out another subscription. Seems like a reasonably deal. Unfortunately, as with all things digital music, there’s catch – the tunes you download contain DRM that locks them into the mobile phone or PC you register with the service. In other words, you can keep your tunes for as long as you like, but you can’t transfer them to other devices. Yes, after just a few months of the service going live, a new application has emerged called TuneBite that extracts all of the DRM from any tunes you’ve downloaded from Nokia’s stores. It works in a similar way to ye olde tape recording of the last century, in which you used something called cassette tapes to record the tunes you or your friends had on vinyl. TuneBite plays the tune silently in the background (at speeds up to 54x the original) on your PC and re-records the resultant signal to any format you need – without DRM. So, combining TuneBite with Nokia’s Comes With Music lets you download any tune you want – legally – for a year, and the you can use TuneBite to strip it of its DRM – legally! You’re then free to keep the resultant track forever, and transfer it to any other device you want to listen to it on – legally! Very nice. The only thing you can’t do, of course, is upload it to a file sharing app, but that goes without saying. The sooner DRM dies the better, and TuneBite is just one more nail in its coffin! Very nice indeed, but I’m surprise you didn’t find about Tunebite until now as it is on the market for about 4 years, I guess, not now when Nokia launched its own store… I know that cause I use it for 3 years now and it also has some good reviews on some magazines, on sites, I always receive e-mails with reviews about it and upgrades.